Indoor Air Quality (IAQ) is a significant issue in ensuring the health, safety and well-being of employees and the public. Measurement and monitoring of hazardous gases is a critical issue in industrial and workplace safety; conventionally worker safety has been concerned with acute levels of airborne pollutants, today there is also mounting concern about the effect of long-term exposure to low levels of pollutants. Indoor Air Quality and conditions such as Sick Building Syndrome (SBS) are a major concern to businesses, building managers, tenants and employees because they can impact the health, comfort, well being and productivity of the building occupants. A typical indoor air quality investigation and examination consists of taking single point measurements of pollutant levels. This monitoring method can be unreliable, as the pollutant level is subject to hourly, daily and indeed seasonal fluctuations. However advances in technology have made it possible for a wireless system to continuously monitor the indoor environment. 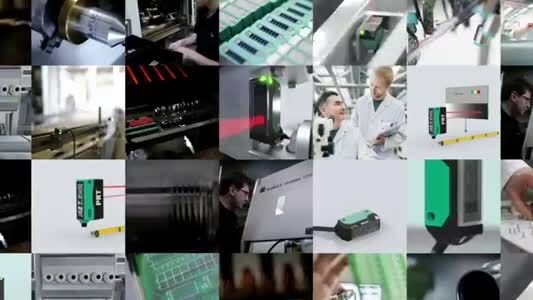 A wireless system enables simple continuous detection and measurement of many of the factors that contribute to a building's Indoor Air Environment; such as temperature, humidity and a number of toxic gases and compounds including carbon dioxide, carbon monoxide, nitrogen dioxide, sulphur dioxide, ozone, ammonia, formaldehyde and total volatile organic compound's. Controlling IAQ parameters can improve the comfort and work efficiency of the occupants as well as their immediate and long-term health. 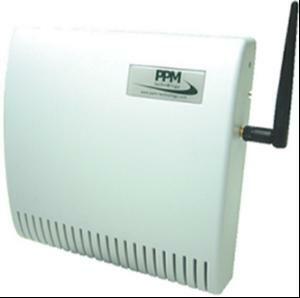 PPM Technology's Wireless IAQ Profile PPMonitor enables simple, effective and flexible management of Indoor Air Quality. It is able to collect a complete and accurate record of IAQ, presenting facility managers and health and safety officers with the data they need for the effective management of air quality within the building. The system can initiate immediate audible and/or visible warning of the presence of harmful gases in the air, protecting employees and the public; buildings can be immediately evacuated reducing exposure to occupants. The alarm can be used to give a warning that gas concentration level has reached a non-critical but concerning level. It can then trigger the air conditioning system in response before the gas concentration reaches a critical level. A further alarm can give a more severe warning when the gas concentration reaches a critical level. The PPMonitor wireless system can integrate with building automation systems; dedicated software allows an entire wireless system to be managed and controlled from a single PC; it can set parameters for temperature, humidity and concentrations of hazardous gases which can then activate and control the air conditioning and ventilation systems. It can also turn on/off heating and as a last resort trigger building alarms. A wireless IAQ sensor network has the ability for detailed monitoring in inaccessible locations where a wired infrastructure is not viable or possible. A building wide network of monitoring units can be achieved; this means a detailed representation of indoor air quality. The network can be extended by adding dedicated repeater nodes or additional wireless units, each unit with unique sensor specifications if necessary. Continuous monitoring of IAQ enables a profile of the indoor air environment to be created; analysis of the recorded data through dedicated software allows for more efficient management of resources and energy. The software can be used as an analytical tool; trends can be identified and problem areas rectified; this should lead to better indoor air environment and safer, more comfortable working conditions. If a building services engineer has the correct data relating to dayto- day operation of the air conditioning system, improvements to the design and management of the ventilation system can be made. An effective airconditioning or ventilating system has a positive impact on the environment, boosting comfort, energy conservation, cost effectiveness and the health and well-being of those inside the building.